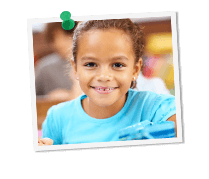 Grade Potential helps you give your second grader a strong foundation for learning through personalized second grade tutoring catered to him or her! Our team of highly qualified, passionate tutors works with your child one on one to achieve specific goals and support future learning. Grade Potential doesn’t take a one-size-fits-all approach to learning. Rather, each 2nd grade tutor gets to know the specific child he or she is working with, taking into account various personalities and learning styles. Through one-on-one second grade tutoring that’s oriented around your specific child’s needs, we’re able to maximize learning opportunities for the student. All of our tutors at Grade Potential are highly qualified, passionate individuals who are eager to help your child learn. Unless otherwise requested, our 2nd grade tutoring comes from credentialed individuals with extensive skills. We also work hard to match your child with the right 2nd grade tutor for his or her needs—because the rapport between the student and tutor can make all the difference in the way your child learns.